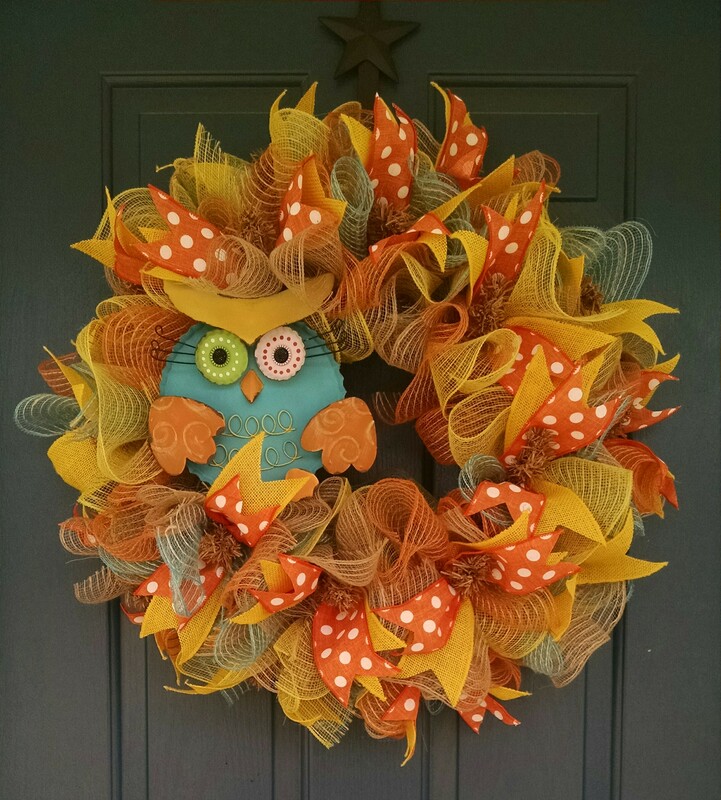 Has the wreath on your door from last spring/summer faded? Looking for a replacement, but really like the one you have? Nesting By Robin has the answer. Below there are two pictures that are very similar. The difference, the one pictured on the left was made last summer and had faded. The customer still loved the little owl. 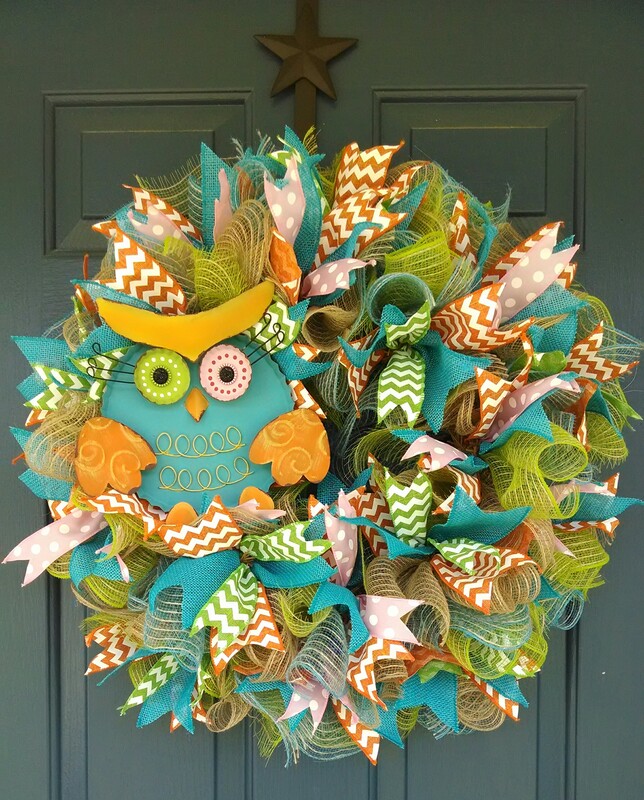 The solution, I was able to salvage the owl, wreath frame and the blue burlap mesh. Added three different color mesh with the blue and changed the ribbon color. The second picture on the right is the result. Refreshed for the summer! If you have purchased a wreath from Nesting By Robin, we may be able to revamp it at a lower cost than purchasing new. Be sure to visit Robin’s Nest…two new items have been added to the shop!